Who is La Sirena Madrileña? I was very fortunate to be invited by a dear friend of mine to the premiere of what is now the second most successful French film of all time, Intouchables. From the red carpet to the paparazzi to the glamourous and funky dressed audience, I am happy to say my first movie premiere was more than worth it. The two young French writers and directors, Olivier Nakache and Éric Toledano, of the film were present and gave a very humorous personal speech before the viewing of the film that I have to admit is the best movie I have ever seen. 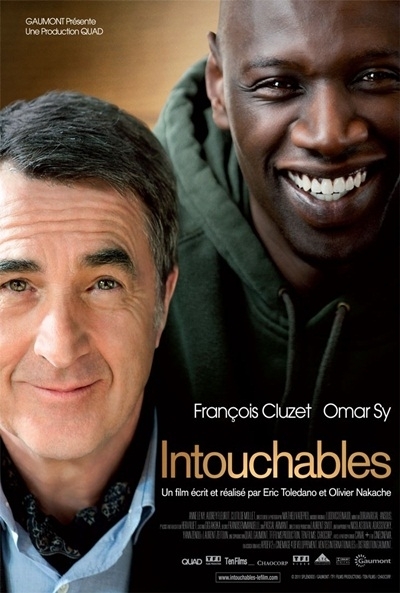 Intouchables is a feel-good dramatic comedy that will have you crying out of pure laughter. It is about a wealthy aristocrat who becomes tetraplegic, and Driss, a young man of Senegal descent who comes from the poorest neighborhood of Paris. Driss becomes the care-taker of Philippe. It is the humour, optimism and charisma of Driss that blends with the tolerance, patience and intelligence of Philippe to make this improbable frienship last. If you are in the mood to laugh and leave the cinema appreciating the little things in life then you might just have to see Intouchables. The standing ovation lasted for about 20 minutes at the end of the showing so I´d say it´s a must!